1) CHA preview site - CHA (Craft and Hobby Association) is having their summer show in Chicago in a few weeks. This is the show where manufacturers show their upcoming products. PaperCrafter's Corner has a site dedicated to showing the CHA sneak peeks and you can see it HERE! SEI, Webster's Pages, My Little Shoebox and the new line by Margie Aslett-Romney (of Girl's Paperie and Making Memories fame) called Authentique are on the site now. 2) Evernote - Have you heard of this free, awesome site? It lets you organize and store all the info you find on the internet - photos, recipes, links, pages, articles, etc. It even has password protected pages so you could store all your passwords in one place (this may be available only on the paid section, though). Anyway, it has changed the way I surf the net. Now, finding all those articles, photos, etc. is so easy since I can organize it into files. You can access your content across all kinds of devices and it automatically syncs everything to all the devices. Check it out! 3) Big Picture Scrapbooking Classes - New scrapbooking classes are being launched right now - one that has caught my eye is called the Motherload - make 26 layouts in 26 days! Great way to get caught up! Too intense? They've got all kinds of quick, instant download classes also. Thorough, professionally done classes and materials at an affordable price. 4) Tomorrow is another Cricut cartridge release from Provocraft - head back here to see the new cartridges with projects! I can't believe tomorrow is ANOTHER Hello Thursday! How in the world is a girl supposed to keep up? Because, of course, I want them all!! I am in agreement with Carrie - I want them all. Just have to wait until they go on sale though. Love your site. Can't wait 2 C what it is...hope it's really....really good !! Thank you Joy for always keeping us updated, I'm going to try Evernote. I can't to see the new releases. Thanks for always keeping us updated on what's out there. Just wanted to thank you for all the info and ideas that you pass along. Evernote sounds GREAT and I plan on checking that out. Would it be possible to explain some of the lingo of blogging for the people that did not grow up in the computer era? (Without boring everyone else to death :). Love the Cricut and haven't had the gumption to scrapbook anything yet. I have just been making cards. Thank you so much for updated coupons and the giveaways that you do! 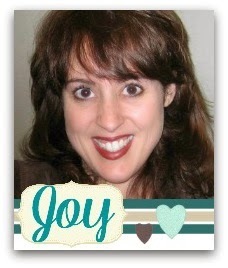 Joy, you are such a treasure -- all the updates and info you make available!!! Thanks for the info! I will definitely be checking out those sites! Thanks for all the information - I'm definitely checking out the sneak peek! Got to have them all. Love the updates! I would love to attend a scrapbooking show, sounds like alot of fun.